Seems simple enough. But it's a lie. The quote Javedanfar uses is not from the IAEA report at all despite what he writes; rather, it is swiped wholesale from the New York Times article lede on the IAEA report, written a few days earlier by the Times' resident Judith Miller clones, David Sanger and William Broad. The actual IAEA report does not make this claim. In fact, the words "evidence" and "trigger" are nowhere to be found in the IAEA report, despite the fact that the New York Times headline reads "Watchdog Finds Evidence That Iran Worked on Nuclear Triggers." The claim made by "experts" comes from the NYT report, not the IAEA. Javedanfar seems to have confused the two; one wonders if he's actually even read the IAEA report. Based on the Agency’s continued study of information which the Agency has acquired from many Member States and through its own efforts, the Agency remains concerned about the possible existence in Iran of past or current undisclosed nuclear related activities involving military related organizations, including activities related to the development of a nuclear payload for a missile. Since the last report of the Director General on 25 February 2011, the Agency has received further information related to such possible undisclosed nuclear related activities, which is currently being assessed by the Agency. Based on the Agency’s continued study of information which the Agency has acquired, not only from many Member States but also directly through its own efforts, the Agency remains concerned about the possible existence in Iran of past or current undisclosed nuclear related activities involving military related organizations, including activities related to the development of a nuclear payload for a missile. The only difference between the two is the additional claim that the IAEA has, since February, "received further information" which is "currently being assessed." The IAEA makes no mention of having obtained "evidence" of anything, nor does it comment on the authenticity of the newly-acquired "information" received from "Member States." Moreover, the New York Times report notes, "The agency did not say where the evidence came from, nor did it provide many details about the allegations." In a more recent article (complete with a six-year old picture of Ahmadinejad and a big ol' Iranian warhead), William Broad fans the flames of the manufactured Iran Nuclear Scare™ by printing claims made by "two diplomats familiar with the evidence, both of whom spoke on the condition of anonymity under the usual protocol." Although emphasizing that "no single one of the technologies stood out as indicating bomb work" and conceding that some "have peaceful uses," these unidentified officials added that "the totality of the evidence...suggested that Iran has worked hard on multiple fronts to advance the design of nuclear arms." Nevertheless, Israeli and U.S. government stenographers like Javedanfar, Sanger, and Broad, along with the Washington Post's Joby Warrick and countless others, consistently use language regarding the Iranian nuclear program and IAEA reports that is purposefully selective, incomplete, and misleading with the clear intention of obfuscating the truth and ratcheting up propagandistic fear-mongering. For example, their reports in the most prestigious Western news outlets would naturally lead uncritical readers to the unequivocal conclusion that numerous questions regarding the peaceful nature of the Iranian nuclear program, which is supervised and monitored around the clock by IAEA representatives, remain unanswered. However, the truth is quite different. A look at the 2007 "Work Plan" between Iran and the IAEA (a prime example of Iranian 'confidence building measures') and Iran's compliance with fulfilling these measures to the IAEA's satisfaction shows that Iran has indeed responded adequately to the IAEA's demands for information about its nuclear program. It is clear that, as Iran itself has repeatedly noted, according to the Work Plan, the IAEA was obligated to submit all documentation to Iran for "assessment," implying that "no visit, meeting, personal interview, swipe sampling were foreseen for addressing this matter." The IAEA itself has confirmed this interpretation of the Work Plan. Its own February 2011 report states, "According to the work plan, Iran was required to provide the Agency with its assessment of the documentation related to the alleged studies to which the Agency had provided Iran access." The report goes on to reveal that, even though "in May 2008, Iran provided a 117-page assessment in which it asserted that the documentation was forged and fabricated," the IAEA found this assessment to be insufficient and has requested a more "substantive response." The IAEA also openly admits to concealing most of the alleged documentation from Iran, notably the "information related to the alleged studies on the green salt project, high explosives testing and the missile re-entry vehicle project." In its May 2008 report, the IAEA stated, "The Agency received much of this information only in electronic form and was not authorised to provide copies to Iran" and later revealed that while "the Agency had been shown the documents that led it to these conclusions, it was not in possession of the documents and was therefore unfortunately unable to make them available to Iran." In its concluding summary, the IAEA stated that, despite all the allegations, "it should be emphasised, however, that the Agency has not detected the actual use of nuclear material in connection with the alleged studies." A Safeguards Report from earlier the same year also "noted that the Agency has not detected the use of nuclear material in connection with the alleged studies, nor does it have credible information in this regard. The Director General has urged Iran to engage actively with the Agency in a more detailed examination of the documents available about the alleged studies which the Agency has been authorized to show to Iran." Noting that the IAEA "has explicitly expressed in a written document dated 13 May 2008 that: '...no document establishing the administrative interconnections between "Green Salt" and the other remaining subjects on Alleged Studies, namely "Highly Explosive Testing" and "Re-entry Vehicle", have been delivered or presented to Iran by the Agency,;" Iran has questioned, "How can one make allegations against a country without provision of original documents with authenticity and ask the country concerned to prove its innocence or ask it to provide substantial explanations?" I adhere strictly to the facts, and part of that is that the Americans and the Europeans withheld important documents and information from us. They weren't interested in a compromise with the government in Tehran, but regime change -- by any means necessary. After acknowledging that Iran too had not been completely forthcoming, he stated that "the West never tried to understand that the most important thing for Iran was getting recognition and being treated as an equal." I am not God - nobody is - and I don't know the future intentions of Iran, but I don't believe Iran is a clear and present danger. All I see is the hype about the threat posed by Iran. The core issue is mutual lack of trust. I believe there will be no solution until the day that the United States and Iran sit down together to discuss the issues and put pressure on each other to find a solution. Hersh, in his new article entitled "Iran and the Bomb: How Real is the Nuclear Threat?," also confirms what has long been reported, namely that the U.S. intelligence community still believes that Iran has no active nuclear weapons program. Regarding the updated National Intelligence Estimate, Hersh writes, "The N.I.E. makes it clear that U.S. intelligence has been unable to find decisive evidence that Iran has been moving enriched uranium to an underground weapon-making center." Perhaps most importantly, Hersh quotes a former senior Defense Intelligence Agency analyst, remarking on why the findings of 2011 N.I.E. have remained classified and buried, as saying, "If Iran is not a nuclear threat, the Israelis have no reason to threaten imminent military action." ThinkProgress analyst Ali Gharib explains, "The Hersh piece pits most of the world's reliable intelligence agencies and diplomatic corps against Israel, the U.S. Congress, and sometimes the administration. Setting aside the political alarmism of the latter set, one might be tempted to draw this very salient conclusion from Hersh's report: the doomsday is not upon us, and Iran has not yet chosen to make a weapon." Even a Congressional Research Service report, written by non-proliferation analyst Paul K. Kerr in February 2011, concludes that it is "unclear" whether or not Iran has ever actually violated its obligations under the Nuclear Non-Proliferation Treaty, noting that the "U.N. Security Council has never declared Iran to be in violation of the NPT." While deliberately omitting all of the above context and detail, Javedanfar's recent Guardian article claims that the latest IAEA report contains "revelations" which "show that the international community has good and valid reasons to seriously doubt the Iranian government's claims that its nuclear programme is for civilian purposes only" and "also provide the west with more valid justification to impose even tougher sanctions against the Islamic regime for its illegal (sic) nuclear activities." Such statements from Javedanfar are unsurprising, considering his track-record of dubious reporting on Iran (invariably claiming that Iran is pursuing nuclear weapons, despite all evidence to the contrary), general - though not exclusive - adherence to official Israeli talking points, and relentless advocacy for more and more sanctions on the Islamic Republic (which he insists are "working," even though companies in his own country seem not to care). In June 2010, Javedanfar blamed the Iranian leadership for missing "an opportunity to engage the United States" over its nuclear program and other issues, explaining, "Since coming to office, Barack Obama has tried to reach out to Iran's supreme leader, Ayatollah Ali Khamenei, through his private message, sent in May 2009, calling for 'co-operation in regional and bilateral relations" between the US and Iran.'" Naturally, Javedanfar leaves out the fact that two letters sent to Obama by Iranian President Ahmadinejad - one in 2008, the other in 2010 - have gone unanswered. Javedanfar also suggests that the West, in addition to implementing tougher sanctions, should attempt to engage Iran diplomatically as well. He writes, "With this method, the international community, and especially the west, has called Iran's bluff. Now the Iranians can't accuse the west of only being interested in 'threats and hostilities'." It appears that Javedanfar believes Iranians are incapable of knowing the difference between rhetoric and action. The actions and policies of the Government of Iran are contrary to the interests of the United States in the region and pose a continuing unusual and extraordinary threat to the national security, foreign policy, and economy of the United States. For these reasons, I have determined that it is necessary to continue the national emergency declared with respect to Iran and maintain in force comprehensive sanctions against Iran to respond to this threat. In the intervening years, Obama has increased arms sales to Iran's Middle East neighbors, substantially built-up America's own armaments and warship presence in the Persian Gulf and Indian Ocean, expanded covert operations in the region (and Iran specifically), and has consistently maintained the aggressive posture that "all options are on the table" when it comes to dealing with Iran. So much for Obama's "open hand." As Malcolm X (in a very different context) said, "If you stick a knife nine inches into my back and pull it out three inches, that is not progress. Even if you pull it all the way out, that is not progress. Progress is healing the wound, and America hasn't even begun to pull out the knife." To suggest that Iranians (the government and the people) could be conned by lip-service diplomacy by the world's leading - and most hypocritical - invader and occupier into somehow believing that U.S. actions aren't threatening to the Islamic Republic is both patronizing and dishonest. Yet, Javedanfar does just that and claims it is Iran that is bluffing, not the United States. Facts simply do not support Javedanfar's analysis. In some cases, information that was controversial then, and seems questionable now, was insufficiently qualified or allowed to stand unchallenged. Looking back, we wish we had been more aggressive in re-examining the claims as new evidence emerged — or failed to emerge. With the mainstream Western media's continued reliance on reports by Javedanfar and like-minded propagandists, the same allegations against Iraq now being leveled against Iran are once again "insufficiently qualified" and "allowed to stand unchallenged." Sadly, as ElBaradei has warned, the hype continues. June 11, 2011 - In his new memoir, The Age of Deception, former IAEA chief Mohammad ElBaradei confirms that Iran was not allowed access to documents containing the accusations made against it regarding past weaponization research. 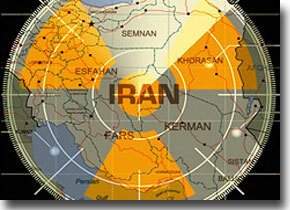 Iran, for its part, continued to dismiss most of the allegations as fabrications. Since the Iranians' cooperation on the work plan had been rewarded with yet more Security Council sanctions, their cooperation on the alleged weaponization studies had been minimal. Their predicament, they said, was that proving the studies were unrelated to nuclear activities would expose a great deal about their conventional weaponry, particularly their missile program. They suspected this was what some of the inspectors were after. The inspectors, of course, rebuffed this line of reasoning. Furthermore, when, in mid-2009, "the Israelis provided the IAEA with documentation of their own, purportedly showing that Iran had continued with nuclear weapon studies until at least 2007," ElBaradei explains, "Unlike with the U.S. intelligence, the Israelis said we could share these documents with Iran, with no restrictions about protecting their sources. The Agency's technical experts, however, raised numerous questions about the document's authenticity, and we sent Israel a list of questions." The accuracy of these accusations has never been verified; however, it is significant that the conclusions of the U.S. National Intelligence Estimate were not changed, indicating that they, at least, did not buy the "evidence" put forward by Israel. November 11, 2011 - Meir Javedanfar's penchant for parroting claims made in mainstream Western news reports, and implicitly attributing them to the IAEA, has continued. Evidence that Iran has been involved in "efforts to master the technology needed for atomic weapons" can't simply be ignored or dismissed by the international community. Ten different intelligence agencies contributed to the Atomic Energy Agency's carefully vetted findings, which were leaked yesterday. Scandalous! Scathing! Iran hysterics have been vindicated at long last! But here's the thing: the IAEA didn't say actually that in its report. The quote used by Javedanfar was taken from a Washington Post article by fellow Iran alarmist Joby Warrick. Yet never in Javedanfar's Diplomat piece does he ever link to Warrick's own article; consequently, the quote remains totally unattributed to its actual source (Warrick) and is deceivingly employed to create the perception it comes directly from the IAEA itself. That Javedanfar also claimed the information was "carefully vetted" adds another layer of hilarity considering that the hype over the IAEA report was immediately condemned by numerous nuclear experts, from Robert Kelley and Shannon Kile to Muhammad Sahimi. If the "findings" were so "carefully vetted," as Javedanfar seems to think they were, why did the IAEA use the the words "alleged," "allegation," and "allegedly" nearly 30 times with reference to the supposed evidence of nuclear work? Why is this guy taken seriously? January 12, 2013 - Javedanfar's May 2011 article in The Guardian has been corrected and an official correction has been added to the piece regarding the false attribution of a quote, as I noted at the begin of this article (see above). The disclosure was part of the newly released nine-page report by the UN nuclear watchdog, the International Atomic Energy Agency (IAEA). The New York Times stated that the IAEA report included evidence that "Tehran has conducted work on a highly sophisticated nuclear triggering technology that experts said could be used for only one purpose: setting off a nuclear weapon". The original can be read here. See the difference? Javedanfar originally wrote, "It stated...," inferring that the quote came directly from the IAEA report, while linking to the New York Times. I have no doubt that Javedanfar will blow this off. But such an admission further validates my own criticism of Javedanfar's work and especially the content of the above article. I thank the editors of The Guardian for honestly assessing this issue and coming to the correct conclusion. Such ability to confront an error speaks to the paper's high regard for accuracy and journalistic integrity. Meir Javedanfar is a flaming idiot, and his continued employment is a mystery for the ages. Great article, and best wishes.